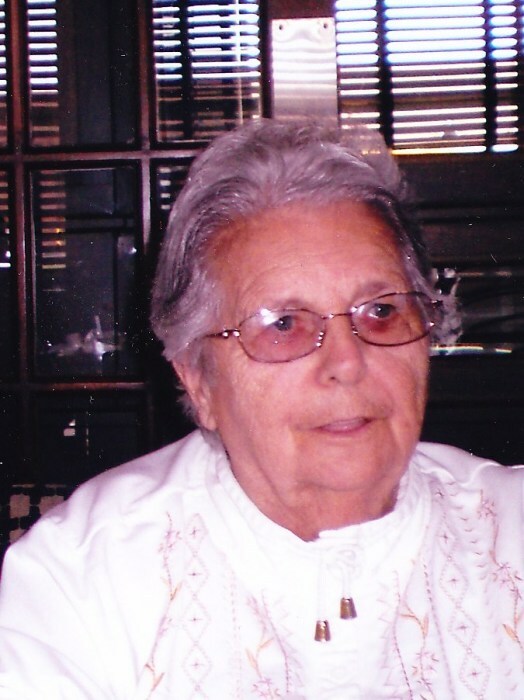 Norma Jean Sandrock, 91, of Tuscarawas Township, passed away peacefully early Saturday morning, January 19, 2019. Born January 21, 1927, in Dover, Ohio, a daughter to the late Thomas and Geneva (Smith) Thomas, Norma Jean graduated from Dover High School with the Class of 1945. She entered the Massillon City Hospital School of Nursing and after twelve months of training and study, met the love of her life, Cliff Sandrock. When they married nine weeks later, she set her nursing ambitions aside to become a full-time wife, mother and homemaker. Norma Jean placed her home and family at the center of her life and created a place of love, laughter and happy memories for generations to remember and enjoy. Preceded in death by her parents and three brothers; her husband of 42 years, Clifford J. Sandrock and her son, Jeffrey Sandrock; Norma Jean is survived by her daughter, Sandra J. (Clyde) Coe, of Mt. Vernon, Ohio; her daughter-in-law, Mrs. Linda Sandrock, of Massillon; grandchildren, Jessica (Terry) Grubaugh, Jeremy Coe, Mike (Amber) Sandrock, Chad (Jessica) Sandrock and Megan Sandrock; great-grandchildren, Tyler, Bailey, Grace, Joy, Payton and Breanna; several nieces and nephews and a treasured friend and companion, Don Morris, of Massillon. A memorial service will be conducted at the noon hour, Saturday, January 26, 2019, at Atkinson Feucht Hare Funeral Home in Massillon. The family will receive condolences one hour prior to the service, from 11:00 a.m. – 12:00 p.m. in the funeral home. A private burial at Brookfield Cemetery will take place at a later date. Memorial contributions are suggested to the National Kidney Foundation, the Michael J. Fox Foundation or the Macular Degeneration Foundation.